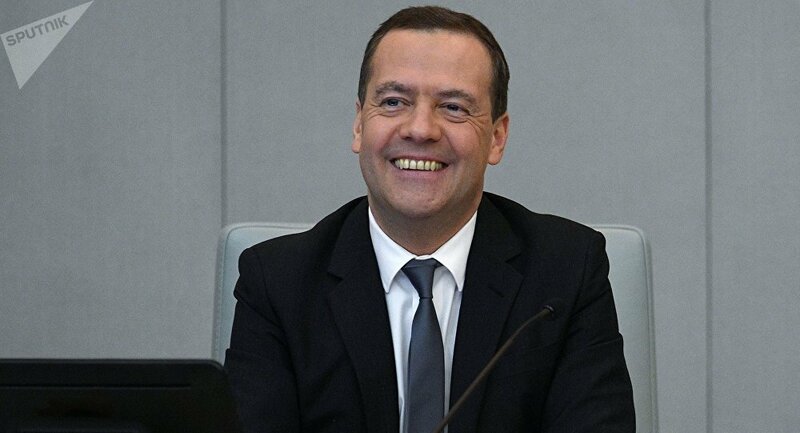 The Russian State Duma has voted in favor of Dmitry Medvedev on the office of the country's prime minister. A total of 430 lawmakers participated in the voting, with 374 voting in favor of Medvedev, while 56 MPs voted against. The candidacy was initially submitted by Russian President Vladimir Putin after his inauguration on Monday. Following the voting, the Kremlin press service said that Vladimir Putin signed a decree appointing Dmitry Medvedev Russian prime minister. "In accordance with the point ‘a' of article 83 of the Russian Constitution, to appoint Dmitry Anatolyevich Medvedev the chairman of the Russian government," the decree reads. Medvedev joined the presidential administration under then-President Boris Yeltsin in 1999 and was appointed deputy chief of staff. Between 2000 and 2003, he served as First Deputy Chief of Staff in President Vladimir Putin’s executive office. Later, in 2003, he joined the Presidential Executive Office, becoming chief of staff there and holding this post until he was appointed First Deputy Prime Minister by President Putin in 2005. In 2005, at the age of 42, Medvedev succeeded Putin, becoming the third and youngest Russian president to take office. Later on, when Vladimir Putin was elected the Russian president, on May 8, 2012, Medvedev became Prime Minister of the Russian Federation, and he stayed on this post till the cabinet’s resignation on Monday.